It is November now and the landscape is dull compared to October's splendor, seen above. My favorite version of this song is from Judy Collins but it is not available on Youtube. Enya will have to do. Magnifique ! C'est la plus belle saison de l'année pour ses couleurs. Mary MacADNski: It is wonderful here on the east coast. Mary MacADNski: The east coast of North America stars in this respect. I can still see this autumn glory in our landscape- a wonderful image! What for a wonderful music! Mary MacADNski: How Can I Keep From Singing?" (also known by its incipit "My Life Flows On in Endless Song" is a Christian hymn with music written by American Baptist minister Robert Wadsworth Lowry. The song is frequently, though erroneously, cited as a traditional Quaker or Shaker hymn. The original composition has now entered into the public domain, and appears in several hymnals and song collections, both in its original form and with a revised text. Though it is not, in fact, a Quaker hymn, twentieth-century Quakers adopted it as their own and use it widely today. Love these fiery looking trees! Mary MacADNski: North America's east coast has the best colours and heavy tourism during that time. That is the only time of year that we have three cruise ships in the harbour. Beautiful autumn colours, we were out taking photos of some locally on Friday. As for Enya, what a lovely voice. Mary MacADNski: Enya is very good. |If you ever get a chance to hear Judy Collins' version please do. I guess your leaves have now? WE still have most of our colour still. This is a splendid sight, though. 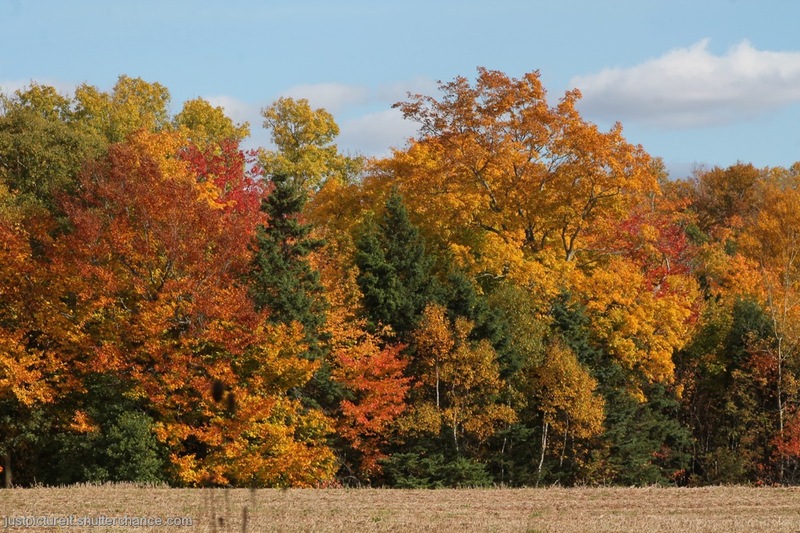 Mary MacADNski: We still have a colourful autumn landscape but had a windy October, sending many of the early coloured leaves to the ground. I've got several Enya CDs; I always listen to her when flying for some unknown reason. Mary MacADNski: She is very relaxing so maybe you are a bit afraid when flying and like to ensure relaxation? The East Coast, indeed, is the star of Autumn! Beautiful photo and music! Mary MacADNski: The maples grow best here ant they come in such a variety of colours. That is the first reason.